Samsung and Microsoft are envisioning a future where the only computer you have is the one in your pocket. Microsoft has tried with its Continuum feature for Windows 10 although it has not taken off despite HP's best efforts. Samsung's strategy, while similar, seems to have a bit more legs (and better support from Microsoft, ironically). 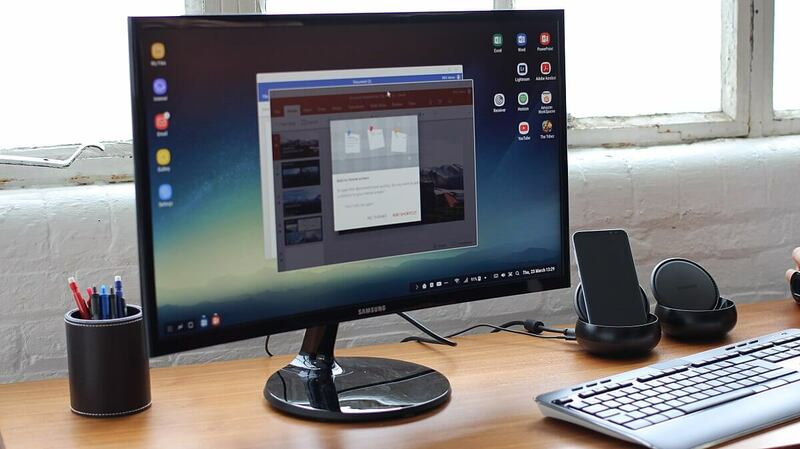 The company released its DeX dock last year to transform its Galaxy S line of phones into desktops. Now it seems that Samsung intends to continue its mobile desktop strategy if a trademark filed in Europe is to be believed. According to Galaxy Club, Samsung filed a trademark for a "DeX Pad" on December 29. This likely means that Samsung intends to release a new DeX product alongside the Galaxy S9 and S9+. Instead of a dock, however, this filing seems to suggest the new DeX will look more like a wireless charging pad than a traditional dock. Some sites have suggested the new design could give users the option to use the Galaxy S9/S9+ as a touchpad. As someone who has tried the current DeX dock, it is surprisingly usable and quite viable for the perhaps 85 percent of people who simply browse the Internet or send e-mail. In fact, Microsoft optimized its Office suite for Android to work with DeX which gives it even more functionality. It remains to be seen if Samsung can continue to push its mobile desktop strategy to the average consumer.